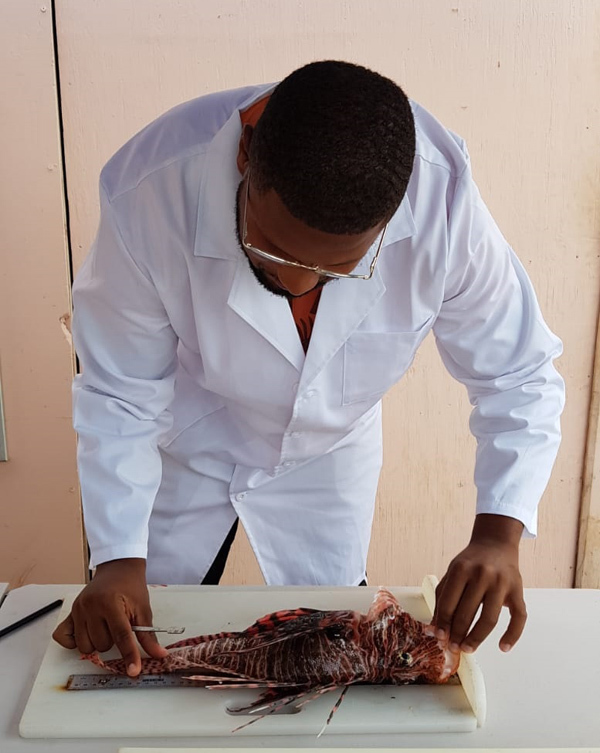 Guardians of the Reef hosted the 3rd annual Bermuda Fall Lionfish Derby recently, with the culling competition also marking the island’s second ‘Reef Sanctioned Derby’ where all participants must be part of a 2-4 person team lead by a Team Captain, with a total 103 lionfish caught during the event. 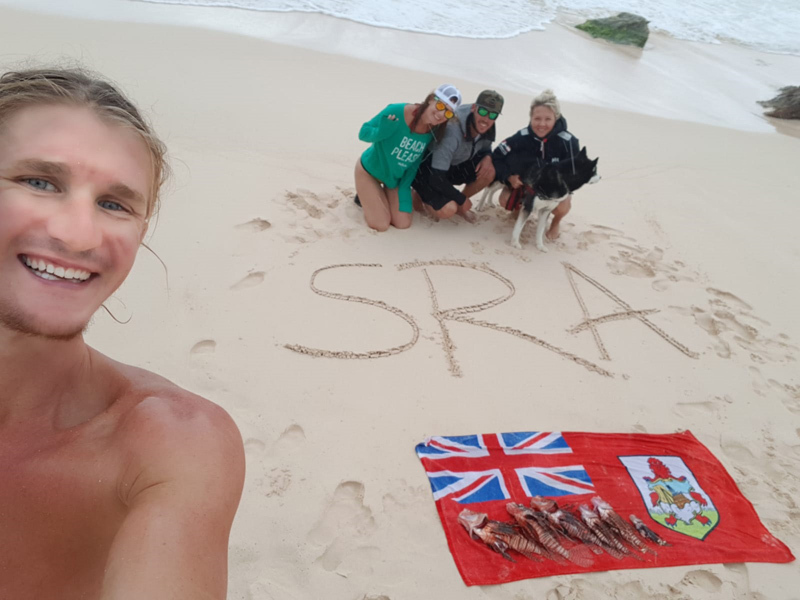 Each Team Captain attended one of two meeting in advance of the competition at the Bermuda Underwater Exploration Institute and teams had four days and three nights to explore the reef and remove as many of the invasive species as possible. Some teams were able to dive once, while other teams hunted many times, covering long distances and even diving at night. This year six teams took part, with 23 participants, including both freedivers and divers on scuba. 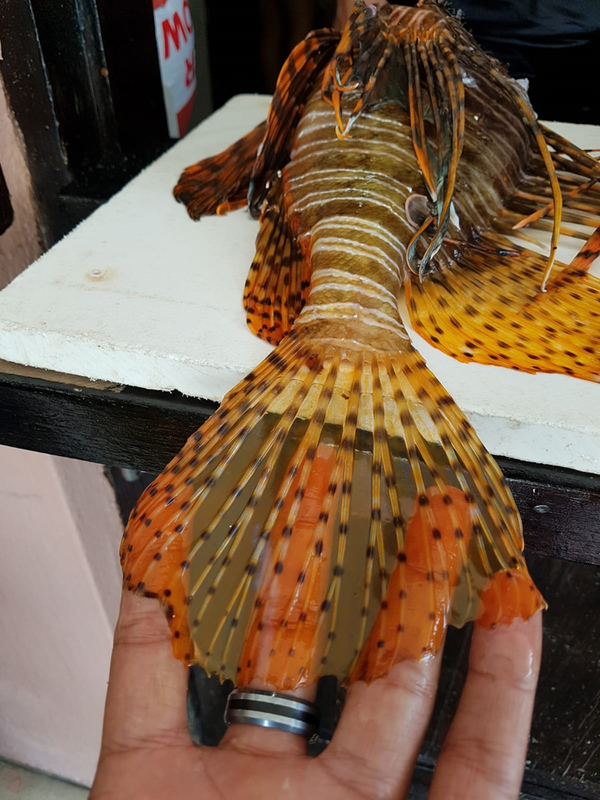 The weather was not the best over the Remembrance Day Holiday weekend, but at times conditions were favorable for diving where lionfish are found most often this time of year. 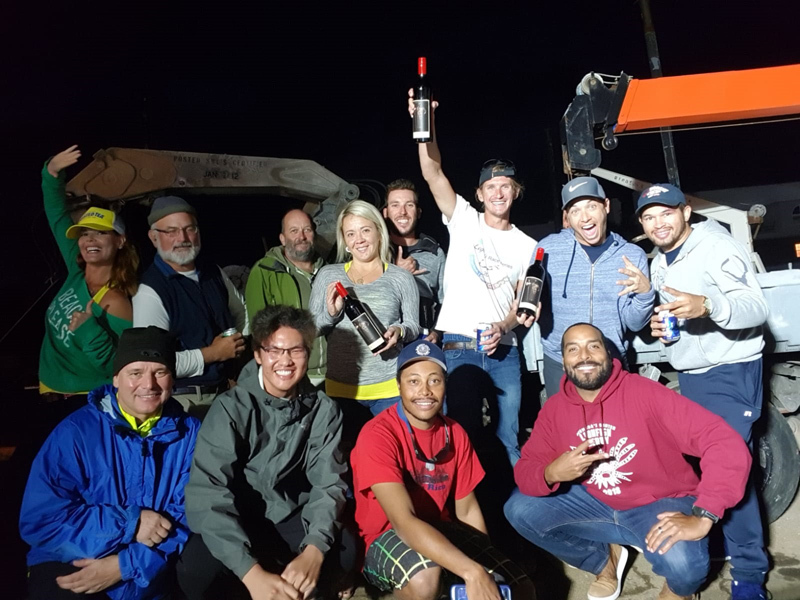 The weigh in was held at Atlantic Mooring Maintenance Ltd. on Monday afternoon where counts were confirmed, paperwork handed in, science done and prizes awarded. In total 103 lionfish were caught. 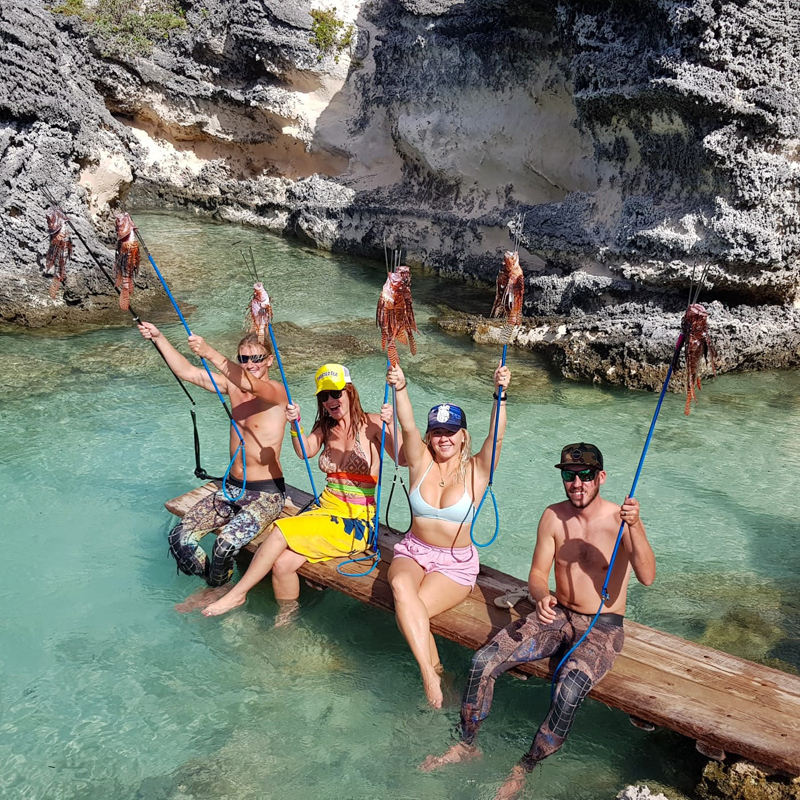 “Overall, 103 lionfish in four days might not seem like a lot when you consider that thousands are caught in a typical Florida derby, but for Bermuda this a huge number for a similar event,” said Dr. Corey Eddy, Guardians of the Reef’s Chief Scientist. just had an idea since the numbers are this great why don’t government hire some cheep labor to do this all year round. all the meat can be sold at a reduced price to low income families. since it is going to low income families the regular fishermen should not have any problems because the low income families would not be able to by fish from a regular fisher man away. so its not like government would be taking away their customers. this should be a win win for everyone. even for the fishermen because this will protect the regular fish that the fisher men normally catch and sell. 103 fish caught by 23 people over 3 days is barely a model for commercial fishing. If each person spent 4 hrs looking (~100 hrs total at the proposed minimum wage of $18.50), with half on boats (~$50 gas x 4 boats = $200 total), each fish would cost ~$19.00 whole landed. Store or restaurant mark up of 150% means each fish would cost about $50. Perhaps viable in Bermuda but not to low income folks.